I have been making some real progress in my daughter's room. If you don't remember, I am making over my daughter's room turning it from a toddler's room into a big girl's room. This weekend we worked on the curtains. So I went to hang the curtains but was pretty bored with them. They matched the décor, but it was just plain boring. After browsing for some curtains, and then realizing I didn't want to spend the money for new curtains, I decided to decorate the white curtains that I already had. I did know I wanted to do polka dots. So, I went up to Home Depot and got lucky. They had pink and blue paint in the oops section that matched her room. Total cost for the paint $1.00. Next I headed over to Hobby Lobby and picked up some circle foam sponges. This is another project that me and babygirl worked on. I love how the dots varying in weight of the amount of paint. She did a great job. I think she's turning into a little DIY'r like her mommy. 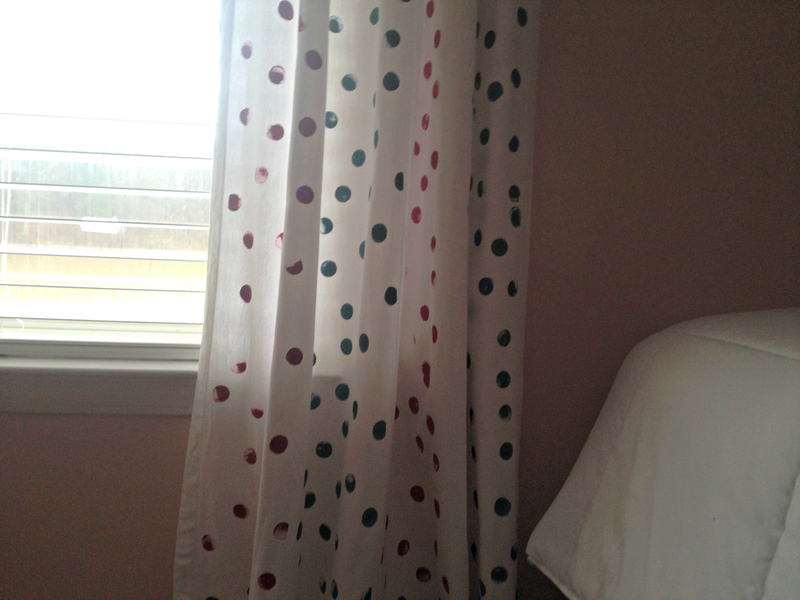 I'm all about saving, so I have to let you know it only cost me $4.00 to update these curtains! Woot! And here are the not so pretty pictures of how we got it done. Thanks Elizabeth! I'm all about affordable updates too! So cute Alaya! Love the update and love even more that your babygirl got to help! Looks great in her room. 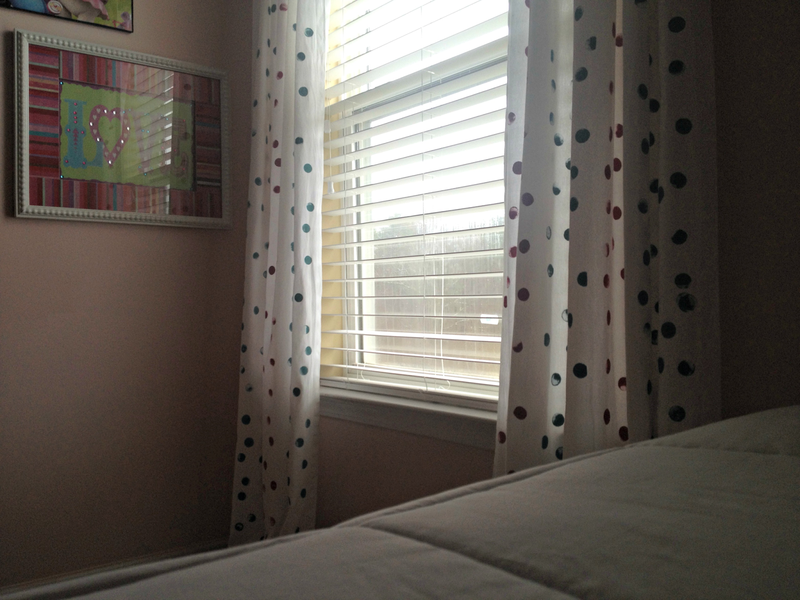 Love that you were able to find some oops paint to use and the curtains look great! I may be a bit of an oops paint hoarder, every time I go to the hardware store I can't help but see what they have, ha. I like the 'LOVE' wall hanging next to the window- Can you post a picture that shows it head-on? Hi Polly! I'm working on getting a post together for that wall. The oops section is usually at the paint counter at Home Depot. Sometimes I ask the associate where they keep the oops paint located if I don't see it right away. Lowes has a section too. 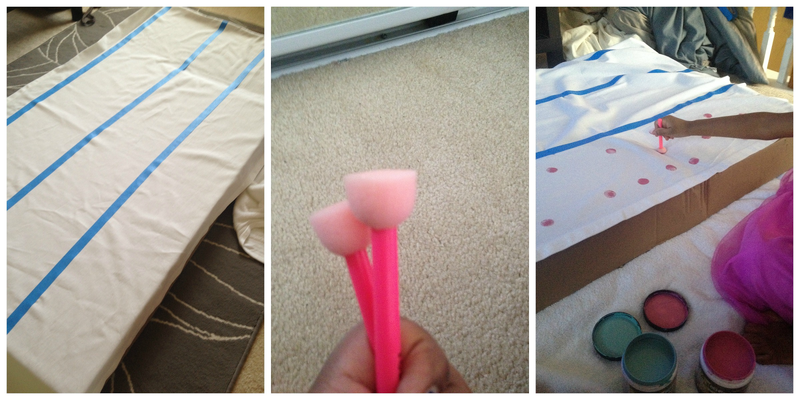 This is normal wall paint, but you can add fabric medium to it to make it washable. Thanks for stopping by! Ahhhhhh!!! These are adorable!! I love me some polka dots! Thanks Jenna! You and me both! How fun and adorable! I bet your little one just loves them. Thanks Denyse! Yes she really does! So adorable! I love polka dots. 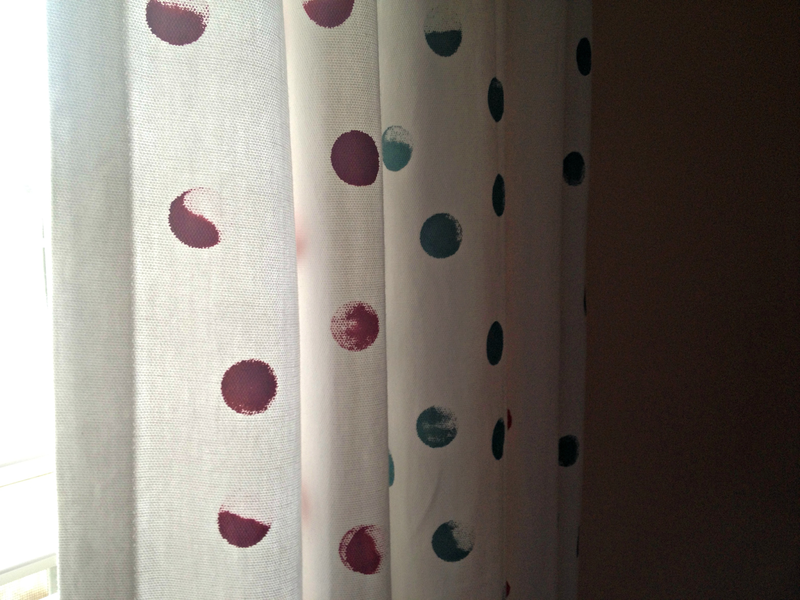 I am so doing doing this to my daughter's curtains. Hey Andrea, let me know how it turns out! Awe, such a sweet mommy-daughter project! 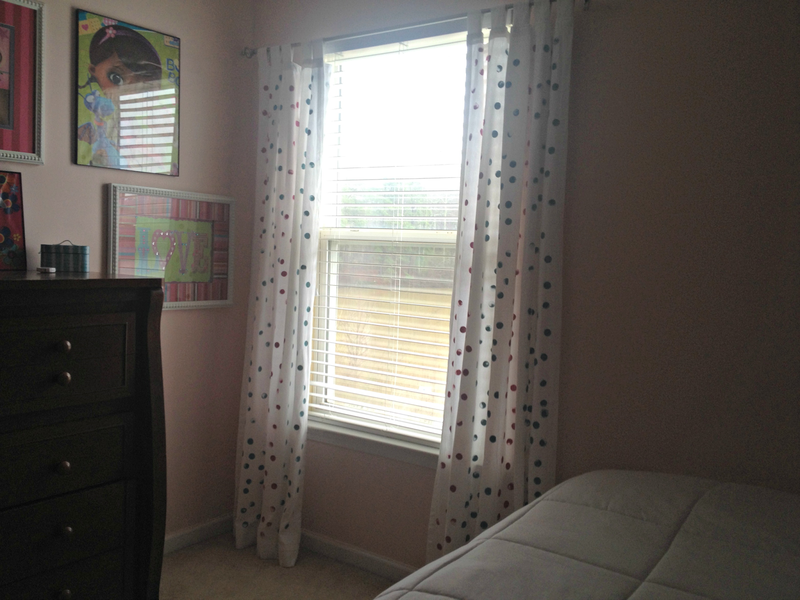 Your daughter's curtains turned out great and I bet she loved helping. Thanks Brandi! she loved it! These are adorable! And I love that your daughter helped! So cute!